Having serviced the local area for almost three decades, Wendt Electric certainly doesn’t provide half-hearted, cheap, low quality jobs that don’t last, their company is built on excellence. Whether you need residential or commercial services, their team of expert electricians is there to help you in any way they can. For Wendt Electric, no job is too big or too small and they put the same level of dedication into each service they provide. It is clear from their list of raving testimonials that they are the right choice for you. The reviews of Wired Electrical Services speak more about their quality and impeccable customer service than they ever could. Luckily they are not in the business of advertising, so they rely on word of mouth for customers to find their incredibly professional service. With an average of 12 years of experience with each technician, some of the lowest prices in the state and a policy to always respond in an emergency with a 24 hour service, this company really is the only choice amongst all of the independent electrical contractors in Houston. Name any electrical service and Advanced Electrical Services & Solutions will provide it. 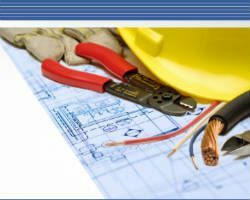 As the go-to local electrical contractors for many native Texans living in Houston, this company has built up a reputation of not only being reliable but also being one of the friendliest teams of electricians in the state. They are able to assist you with problems in the wiring of your home as well as completely renovating your electrical system to be more efficient and environmentally friendly. 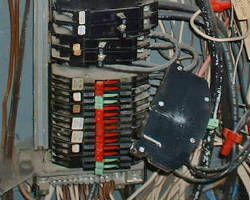 Many Houston electricians are skilled in general services but very few have the skills in wiring like Rulon Electric Company. 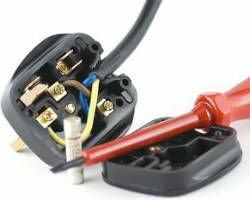 Their team of highly trained electricians has been providing both commercial and residential wiring services for many years in Houston and the surrounding areas. While they are a fully licensed electrician company, the best reason to hire them is their long list of past successful jobs. Rulon Electric Company has dealt with any kind of location or electric-related problem, so you will definitely be in the most capable hands. 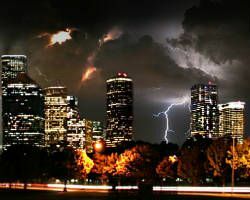 When searching for a quality electrician in Houston, TX it is always great to find one of the nation’s highest rated companies right here in the city. 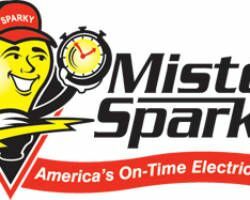 Mister Sparky’s reputation has been earned over many years of providing a professional and affordable electrician service throughout Texas. At Mister Sparky they understand that their technicians are what makes or breaks their service, so they ensure that all of their staff members go through a rigorous selection process. This enables all of their customers to have complete peace of mind.